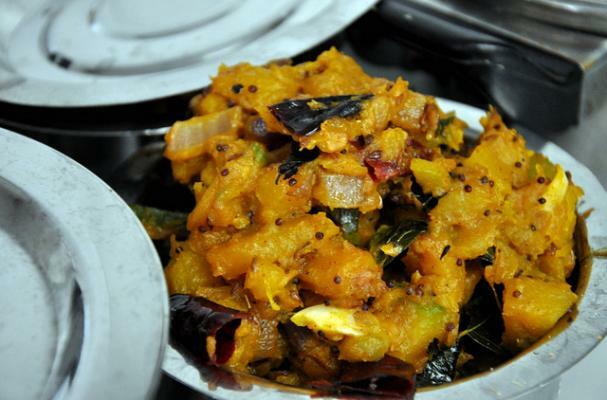 Indian fried pumpkin is a fragrant and delicious dish to warm you up on a cool fall evening. The "fried" part of this dish refers to the spices rather than the pumpkin itself. In Indian cooking ,the spices are traditionally fried in a mild oil before ingredients are added. This technique releases the spice's oils which helps to intensify their flavor. It is important to get the best spices possible for this dish as they are one of the main flavor boosters. My trick is to go with whole spices as opposed to ground when possible. Serve this dish with a side of basmati rice and you have got a fabulous dinner.